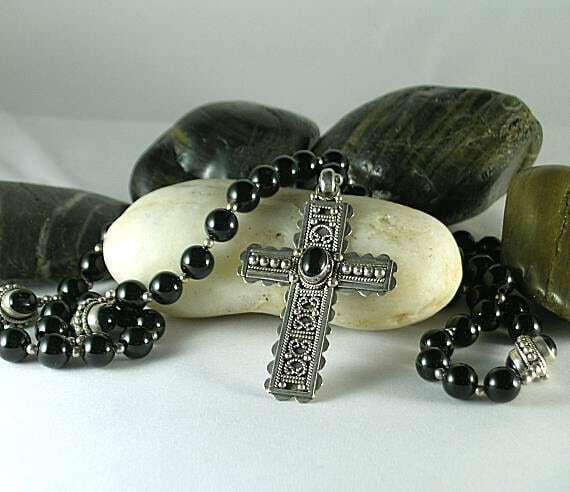 Sterling Silver and Black Onyx - Renaissance Rosary with Cross 16th c.
This large rosary consists of fifty 8mm black onyx beads and silver spacers strung on a heavy silk beading thread. 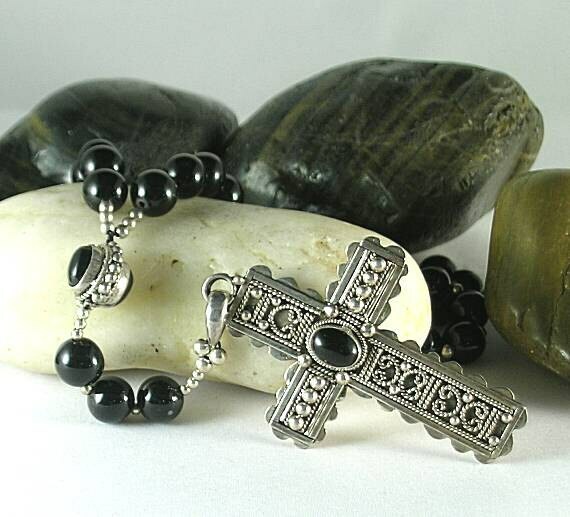 It has five 10 x14mm sterling silver and onyx paternosters dividing each decade. 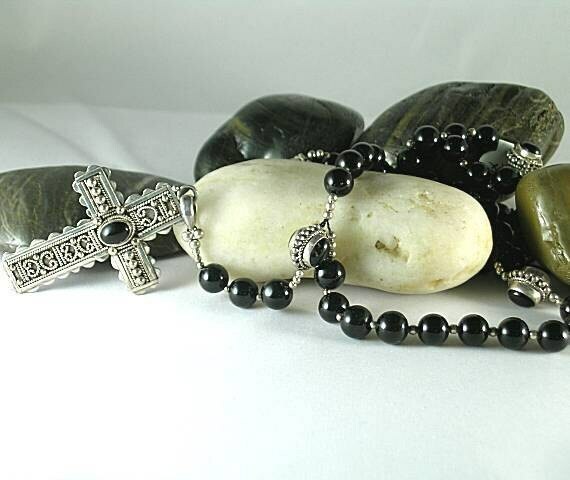 There are 3 antiphon "pathway" beads so this style would fall into the standard rosary psalter category. 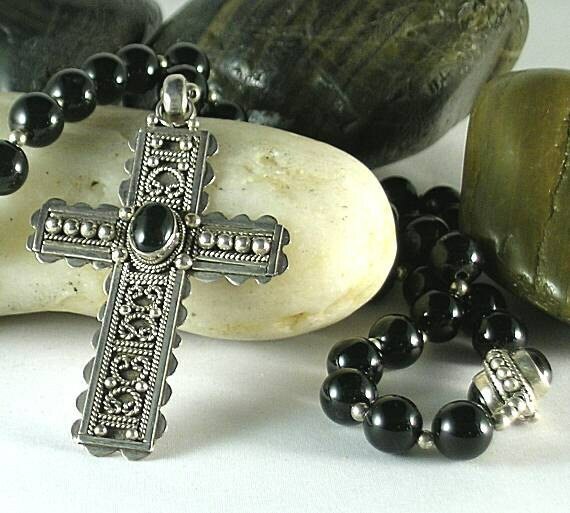 The ornate sterling silver and onyx cross measures 36 x 58mm or approx. 1 1/2" wide X 2 1/4" high.